Almost every night like clockwork I’d wake up in a panic and run to my desk and scribble down another question, another task to double check. The midnight doubts would also involve a vision of no one showing up and me running around apologizing to all the vendors. That was in a nutshell the weeks leading up to the first VegFest London I organized 5 years ago. . Perfection likes to tell us that we’re not ready or creative enough, because we need to know, be or have more in order to start. This was a reoccurring thought in my mind leading up to that first event. Our first few posts had 2–3 likes, not hundreds. We had 35 vendors in the first year a big difference from the the 130+ we’re welcoming this year. And talk about learning curves, I found out the night before the first event that some of the vendors were bringing cooking equipment that wasn’t aloud inside the building. You don’t need the perfect brand, strategy or plan to begin. You don’t need to know everything either, because you never can. 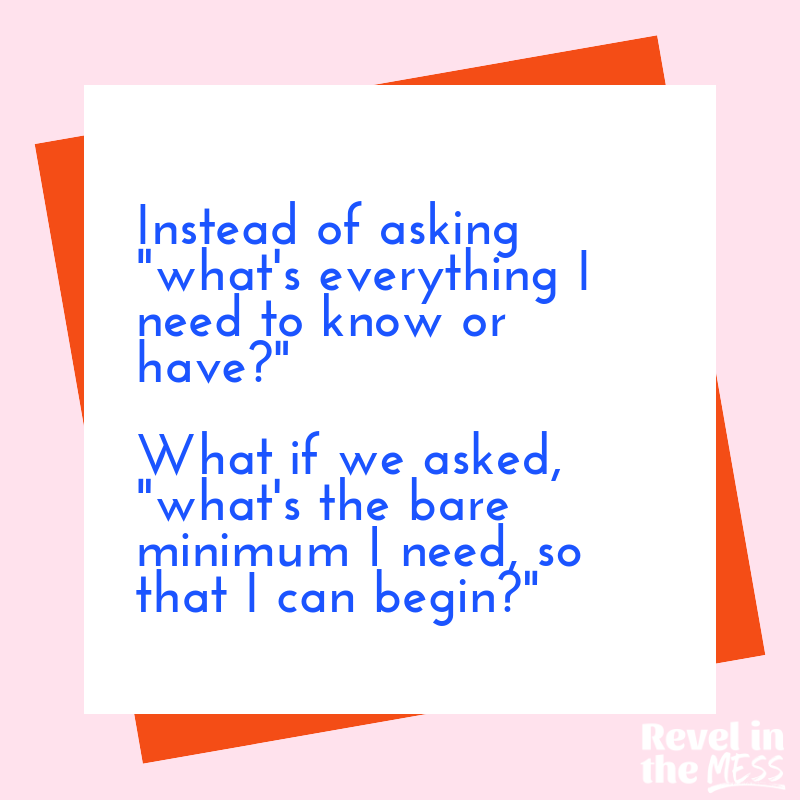 Start with what you have and you’ll figure it out, get help and add the resources you need along the way. And don’t forget to give yourself and your creations the permission to evolve, grow and fumble as you make your way through the creative process. It’s messy, uncertain and never perfect. Thankfully the “nightmares” didn’t come true and we opened the doors to a lineup of people, found a way for those vendors to still cook their food without breaking fire codes and managed to get some sleep along the way. After this year’s festival I’m stepping away from being a part of the organizing committee. And because of that I’ve been extra nostalgic and reflective leading up to this year’s event (sappy and mushy, I know). We all start somewhere. I’d love to hear more about your creative beginnings and the lessons you’ve learned along the way. Share in the comment below!